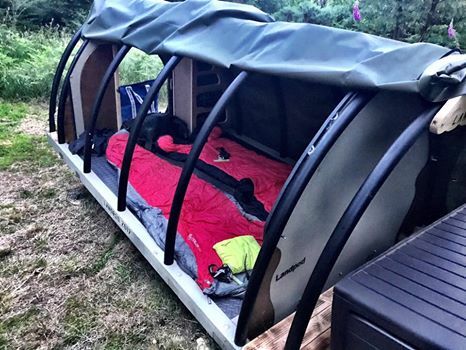 Our Landpods have you sleeping up off the cold floor, cocooned in a pretty unique little off-grid shelter. 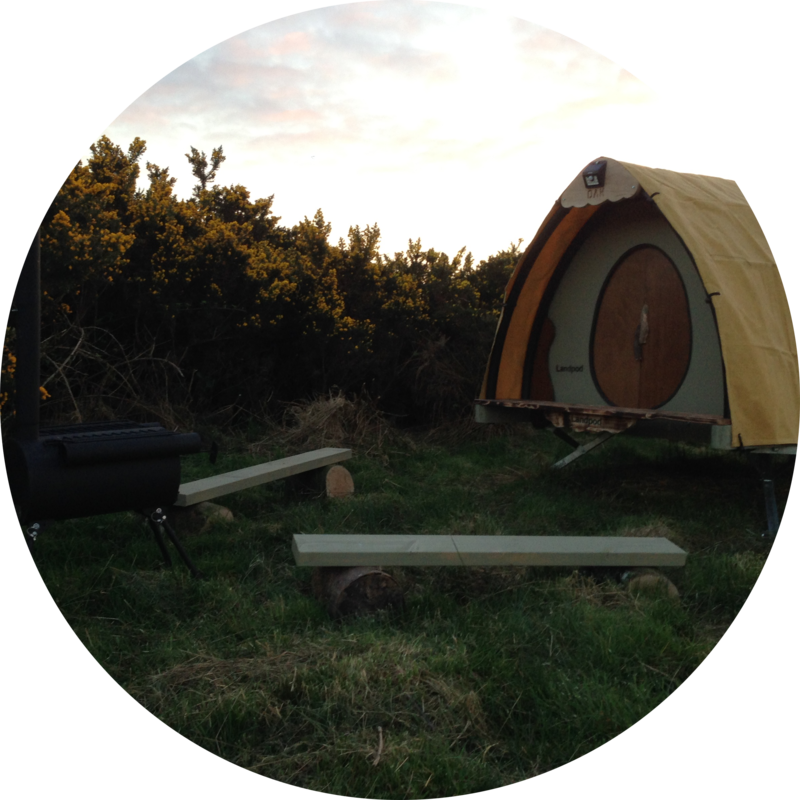 With its sliding wooden door and ability to open up the canvas sides, two people can experience the great outdoors in a special, memorable place - not only are the Landpods pretty special, but so are the locations we've sited them in. With outdoor wood fired stove, solar powered light and waterproof storage locker for boots and coats, you feel fully nestled in with nature. 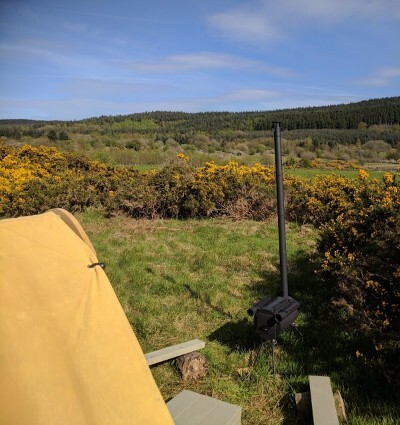 Available from April - end of October, our little Landpods are ideal for people wanting to feel they are getting a real taste of the wilderness. The price of a 2-night stay starts at £58. Pack your items in a rucksack as you'll have to walk upto 150-180mtrs to your location from the car park. You'll be in the Dark Skies area of our site, so pack a good quality torch. Bring matches, bin bags, cool bag (we can refreeze ice packs at the farmhouse). Remember a good quality sleeping bag and inflatable pillow. Your land pod is equipped with an outdoor wood-burning stove, allowing you to cook / boil water. You can, of course, bring your own gas stove, but either way, remember to pack your kettle / pans / mess kit. Our well-appointed campsite kitchen is also available to all guests, with wash-up sinks, oven/hob, kettle, toaster and microwave. Sorry, but no pets in the Landpods and a minimum 2-night stay at weekends. You still have the convenience of using the site's centrally heated facilities block with toilets, showers and laundry room. Set up high, but sheltered by surrounding foliage, this Landpod has stunning panoramic views across the farm and into the neighbouring forest. Setup high on the site ideal for lying back and watching the amazing night sky.